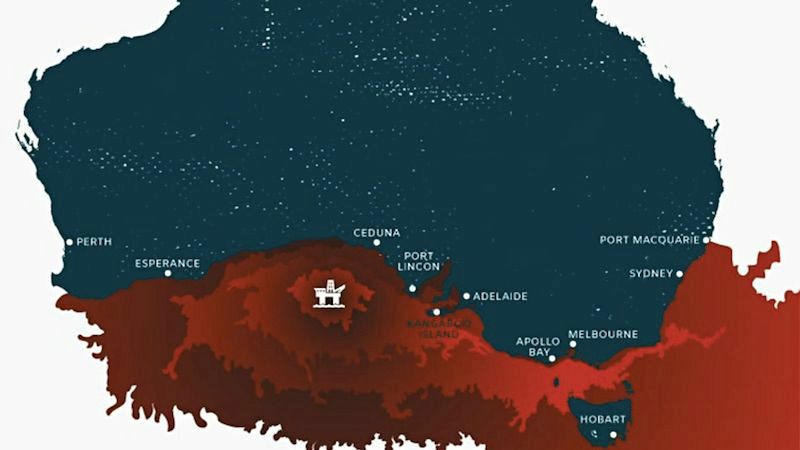 Big oil companies have their greedy fat pie fingers all over the Great Australian Bight, salivating as they get ready to drop the drill bit putting millions of lives at risk to satisify the greed of a couple fat cats. Alarm bells should be ringing for us Saffa’s following the news that Total discovered a potential 1 billion barrels of “wet” gas off the coast of South Africa. The Great Australian Bight is a pretty unique and far out place. Home to bustling coastal communities, whale sanctuaries, sea lions, and otherworldly marine life which call the Great Southern Reef home.Just like South Africa, out home! Aesthetics and natural wonder aside, it’s also one helluva risky place for oil exploration and drilling, due to wild waters and fragile ecosystems. The red in the image below represents the area at risk following an oil spill. Here comes the good news, well sort of. The Australian surfing community has created quite the fuss down under as they rally against the corporations with the movement getting bigger by the day. Greenpeace is even calling on Australia’s Government to step up and protect the Bight from Big Oil and even make it a World Heritage Site. 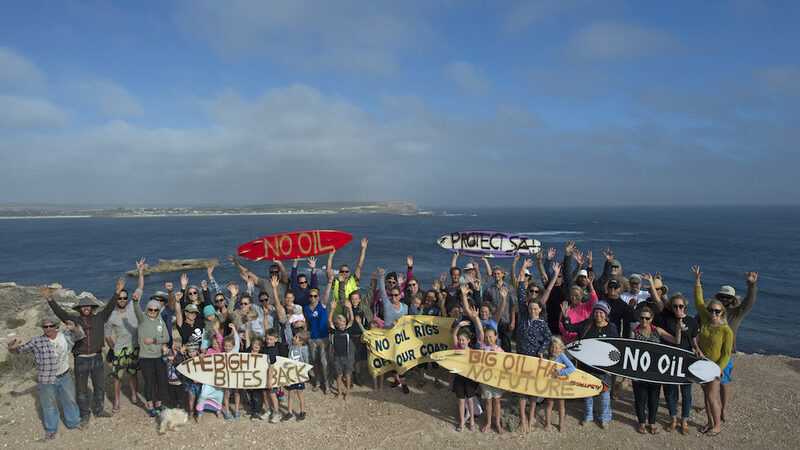 The most recent act of protest to protect the Great Australian Bight was championed by surfers turning up in their thousands to paddle out in Torquay as well as surf icons Mick Fanning, Steph Gilmore, Mark Occhilupo, Taj Burrow and a handful more putting their John Hancock down on an open letter against the drilling (see image below). 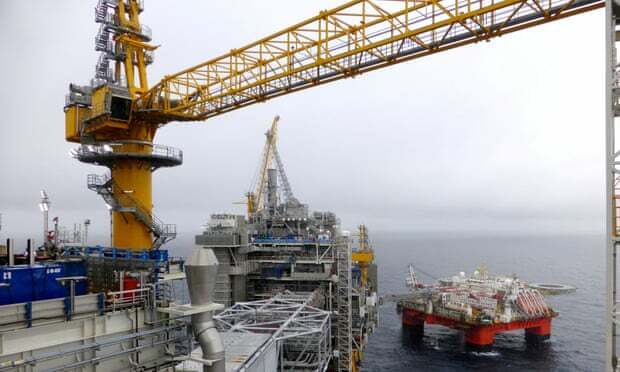 The Norwegian company Equinor is pushing ahead regardless with plans to drill for oil in the Bight and has published its draft environment plan saying “drilling can be done safely”. What’s also worth noting is the fact Equinor is not required to make it’s draft environment plan public until it has submitted it to the National Offshore Petroleum Safety and Environmental Management Authority. However, in efforts to uphold a greater level of transparency around the project Equinor has made the following documents public. “Over the last two years we have engaged with more than 100 different organisations in the South Australian community and they have consistently asked us to be open about our plans. This draft EP is the result of more than two years of careful preparation and our 1500-page plan demonstrates how we can drill safely and includes a robust emergency response plan,” said Jone Stangeland, Equinor’s Australian manager. One would only think that the potential dangers and irreparable damage of offshore oil drilling would have been learned by now but apparently the ignorance of Norwegian company @equinor runs deeper than the waters in the Great Australian Bight which they have formally released plans to drill in! The proposed Stromlo well is 327km out in the Southern Ocean, open to everything the Roaring Forties has got. Anybody who has the slightest inkling of ocean knowledge knows this is one of the most treacherous areas of ocean in the world. Not only is it in 2500m of water, they’ll then need to drill through 3000m of seabed. As part of their environment plan Equinor were forced to supply oil spill modelling, which showed oil potentially ending up on beaches stretching from Margaret River, West OZ to Tasmania, and Port Macquarie on the east coast ultimately leaving wildlife, marine ecologies, local industries and communities devastated. Yet, Equinor still claim the drilling “can be done safely.” Get outta here you Turkeys 🦃 and stop putting your personal profits over the health and future of our ocean and lives of millions who call this place home! Equinors plans are currently before industry regulator NOPSEMA and is open to the public comment closing on March 20. Link is in profile for more information and tips on how to submit your comments and express your concerns to their ill proposed plans.